We provide all the services regular accountants do, including personal and business tax accounting, for both one-off and long-term clients. we choose to focus our services for property investors, builders and tradies. Because we know what we do best. For many years, we practised as generalist accountants. More and more, we found we were attracting property investors, builders, developers and trades. That meant we knew stuff regular accountants didn’t. With each new client, our industry expertise grew. The building trades are unique and complex. The layers of compliance and regulation don’t exist elsewhere. advice just doesn’t cut it! In 2013, we turned our focus specifically to our professional sweet spot: property investors, builders and tradies. Our professional development and research targets the same industry segments, making us expert advisors who are both proactive and practical in how we help you. We understand that you have a wide range of accounting needs. Not all your money matters relate to being an investor, property developer, builder or tradie. So we provide a full range of accounting services, meaning you don’t need to engage two accountants. We can do your personal tax or business tax, as well as the more complex company tax work, making sure that you get the best outcomes across them all. 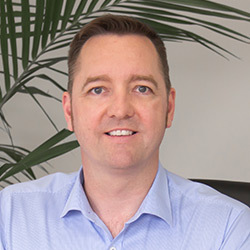 Brett is founder and director of Bell Group Accounting (BGA), a Certified Practising Accountant, Public Practitioner, Registered Tax Agent and Geelong local. Over more than 25 years, he’s delivered specialised accounting, taxation and property investing services and strategic advice to national construction businesses, building developers and related businesses and individuals. He sits on the board of several business clients and works closely to understand and anticipate their needs. Brett’s personal passion for property (he has purchased eight properties) drives BGA’s specialisation in services for property investors. 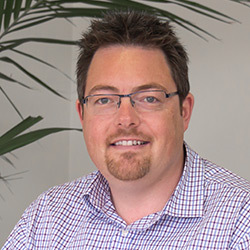 Over the last 17 years, Brett has been involved in more than 500 investment property transactions, coordinating the many elements that make each a success. He’s assembled a network of contacts who provide the benefit of buying power and access to the right people in finance, real estate, conveyancing, insurance and more. Brett shares his experience and knowledge through monthly property investment information sessions for clients. Michael has been in public practice since 2002. As a CPA, he’s helped a solid roster of clients including small to medium business, property investors, high wealth individuals and tradesmen/contractors. His capabilities span the spectrum of full-service accounting: business planning, property investment, taxation, business and personal consulting matters. Michael has a knack for translating complex business and taxation matters into plain English and providing friendly, easy-to-grasp advice. Michael often uses his own experiences as a property investor as an example for clients and is a big believer in the benefits, tax and otherwise, of investing in property. 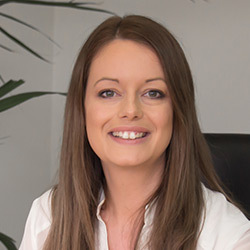 Bek is Geelong born and bred, a CPA whose accounting career stretches back to 2005 and covers experience with large Melbourne and Geelong accounting partnerships. Much of that work focussed on small and medium businesses, including significant property developer clients. She has honed her professional accounting know-how on SMSFs, tax accounting, business planning, business structuring and property investing. Bek has a keen personal interest in property investing and renovating, and always keeps an eagle eye out on the local market. Jack is the most recent Accountant to join our team. Having completed his Bachelor’s Degree in Commerce, majoring in accounting and finance at Deakin University Geelong. Jack completed this degree with outstanding results in both accounting and finance and plans to complete his chartered accounting course in the coming years. 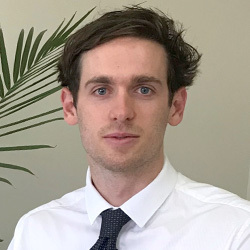 Jack is an excellent accountant who has a wealth of knowledge well above his years of experience and is a welcome addition to Bell Group. We quote fees payable for any of our services upfront, so you know exactly what you’re paying before we start the work. We will provide you itemised costs and you can choose the level of work we do for you. You’ll know how much you’re paying, what you’re paying for and what to expect. Our fees are fixed, so there are no surprises, whether we’re preparing a simple tax return or helping you with a complex business re-structure. For any sort of accounting advice, you want to know it's coming from someone you can trust.